Kisik Lee has been involved in the sport since his school years in Korea. He was an enthusiastic and talented archer, competing at national level. However, Korea did not send archers to major international competitions at the time so Kisik Lee's athletic successes were enjoyed only within his country. Korea started a national archery program for women in 1977 and for men in 1978. When the men's program was created in 1981, officials asked Lee to be the coach. He was just 24 years old. From 1981 to 1997, he was Head Coach of South Korea. Under his guidance, Korea won a combined total of eight gold medals at the 1984, 1988, 1992 and 1996 Olympics. In 1997 he moved to Australia to become National Head Coach assisting Simon Fairweather win the Men's individual Gold in front of his home fans at Sydney 2000 Olympics. In January 2006 he took on the challenging role of National Head Coach for the USA and trained archers like Brady Ellison who is described by many as the best modern archer the world has seen . Lee has always invested a lot of time in the scientific aspects of archery. He studies technique, body control, muscular requirements, mental concentration, and other elements, which he believes, are essential to becoming an elite competitor. Kisik Lee strongly believes that his coaching talent and successes over the years are a gift from his God. Now he wishes to continue to share this gift to others through coaching seminars. These seminars and camps are aimed and open to all archers and coaches worldwide. Kisik Lee is arguably the leading coach in the modern era of the sport of archery. 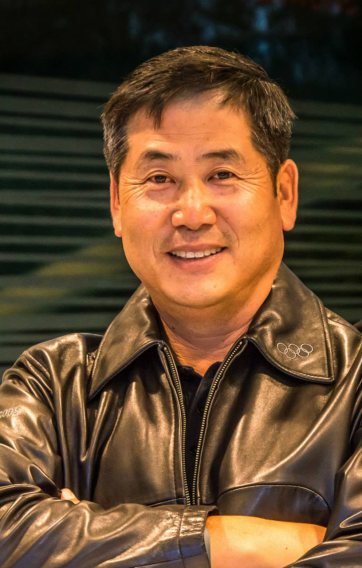 He has been the Head Archery Coach of Korea, leading them to success over numerous Olympic Games, he then brought Australia out of the archery wilderness in 2000 and 2004, achieving their only every Olympic individual medals (Gold and Bronze). He is currently Head Coach of the United States of America where he has coached Brady Ellison to become arguably the best archer of the modern era, he has also been appointed World Archery Chair of Coaches. Mr Lee's coaching experience spans nine Olympics and his record speaks for itself. "This is the most comprehensive compilation of how to properly shoot an Olympic recurve bow that is in print today. It takes the reader through each of the progressive steps of the shot process, yet at the same time making sure that the reader understands what is needded to be done, thought, and felt during the execution of a shot"